Taipei, April 4 (CNA) The Ministry of Foreign Affairs protested Friday over Japan's approval of school textbooks that list the disputed Diaoyutai Islands as part of Japan's territory. The unilateral move by Japan is unhelpful to the maintainance of regional stability and does not change the fact that the Republic of China holds sovereignty over the island group, ministry spokeswoman Anna Kao said. The ROC government will make a serious protest to Japan over the issue through diplomatic channels, she said. She urged relevant parties to respond to President Ma Ying-jeou's East China Sea peace initiative, which calls for all parties to shelve their differences and seek cooperation on resources development in the region through dialogue. According to Japan's Asahi Shimbun daily, all social studies textbooks approved for use in Japanese elementary schools from April 2015 will mention the Senkakus -- as the Diaoyutais are known in Japan -- based on the results of an Education Ministry textbook screening announced that day. 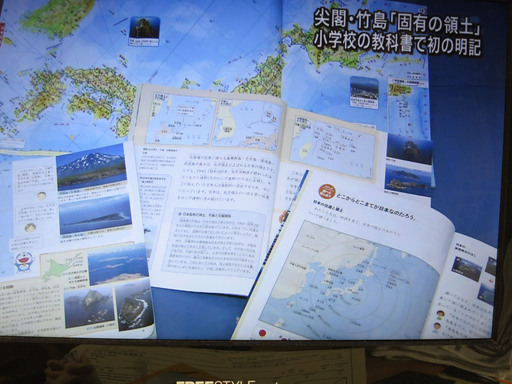 Seven of the 14 textbooks submitted for screening clearly state that the Senkakus are "inherent territories of Japan," the paper said. The textbooks also lay claim to the Takeshima island chain, called the Dokdo by South Korea, which is at the center of a territorial dispute between Tokyo and Seoul.